Here I am looking for benefits of RTGS Payment offered by IDBI bank, Can you please provide me detail regarding the same?? IDBI Bank is one of the fastest growing banks in banking sector. Bank offers various schemes for the customer with the aim to impart best services to common people. IDBI offers, Real Time Gross Settlement (RTGS) payments & Receipts system, for faster and efficient settlement system for customers. This payment mechanism helps the customer to enable funds to be received by the recipient intra-day, rather than the net settlement system exchanges that occur at the end of the banking hours. 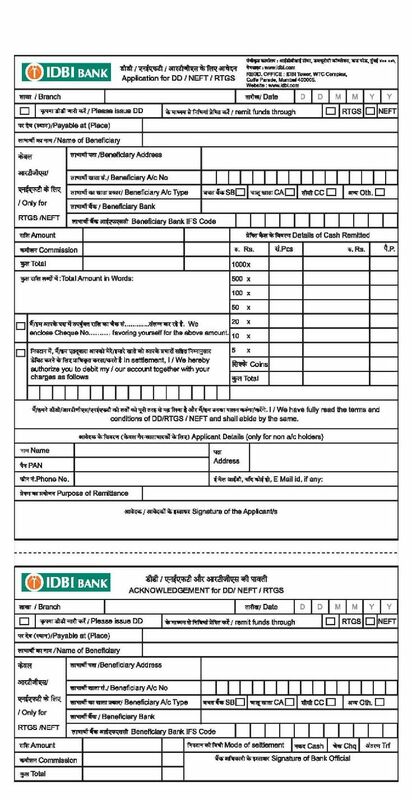 Here I am providing you application form for RTGS registration at IDBI bank. I recently opened an bank account in the IDBI bank and want to know about the RTGS system of this bank. 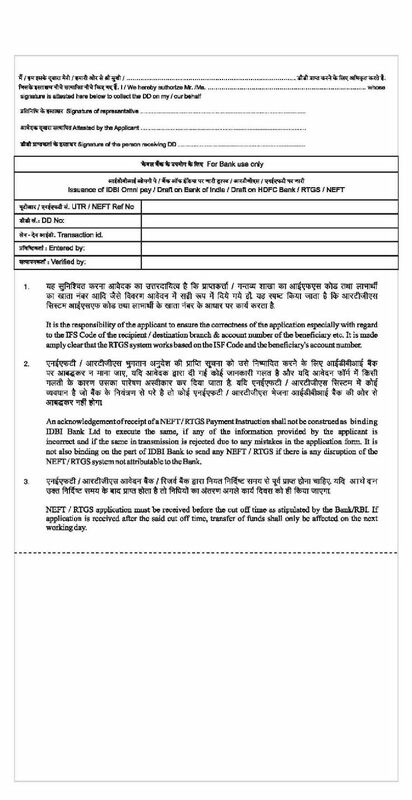 Will you please provide me all details related to this IDBI bank RTGS outward transaction rates and also provide me IDBI RTGS application form? IDBI offers, Real Time Gross Settlement (RTGS) payments & Receipts system, a solution for faster and most efficient settlement system for our esteemed customers. This payment mechanism will enable funds to be received by the recipient intra-day, rather than the net settlement system exchanges that occur at the end of the banking hours. Last edited by Aakashd; August 9th, 2018 at 11:55 AM.